Bubble Shooter is a Free to play addictingfunpuzzle game. Spend your day with bubble shooter bunny pop andenjoyrescuing bunny. Explore different world, solve all theamazingpuzzles, Free the bunny from the trap and have fun time withBubbleShooter bunny pop form FREE. 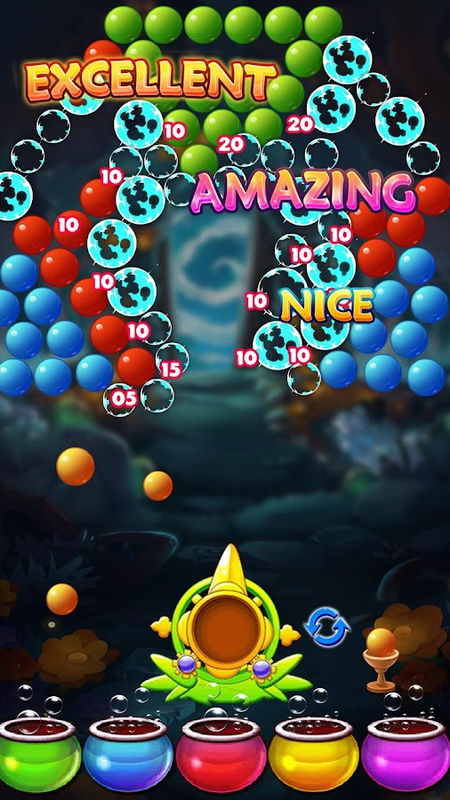 Pop the bubbles and blast your way through beautiful worldsfilledwith amazing colored graphics, beautiful bubbles and cutebunny.Clear all the levels and beat challenges in bubble shooterbunnypop. Hope you would love to play this bubble shooter bunny pop gameforFree. Please share your feedback and suggestion aboutbubbleshooter bunny pop. Jump in one of the most juicy fruit journey @Fruit Splash!Fun and addicitive juicy fruit link connect 3 game of fruit splashbrings hours of entertainment for you.Play through all the wonderful levels of this juicy fruit game andsolve connect 3 puzzles in the most casual way.Fruit Splash will make your rainy day more and more engaging. Youwould love to make fruit link here in this game.Longer the fruit link better the results.How to play:Drag your fingers over the juicy fruits to make the largest fruitlink of similar kindsFeatures:• Varied and entertaining 150+ puzzle levels.• Funny fruit link game.• Make fruit splash with longest chain drawn• Great background music score• Free to play game for all ages• Grab all the fruits by drawing line and connect 3 fruitsHope you would enjoy playing this game with all the wonderful andamazing puzzle levels! Match Stick Puzzle:Match Stick puzzle is a classic and challenging puzzle game ofadding, removing and moving sticks till the moment you find out thecorrect solution.This is one of the most entertaining puzzle games with matchstick,straws and pencils.You have to make some shapes by removing, adding or moving thematchstick or pencils or straws .There are almost 100+ puzzle levels in this game. There is no thumbrule for this matchstick puzzle game.You would have loved some of the brain teaser games like escapegames and other dots game, but this matchstick puzzle game isdifferent because of its tasks and interesting puzzle levels.Features:Game of adding, removing and moving sticks, pencils andstraws100+ brain teaser levelsBrilliant display of graphics and excellent theme imagesTrains your brainDownload this for free and give your brain a booster shot withpuzzles. Bubble shooter cat is one of the newest gamebased on classic bubble shooting. In this bubble shooter game youwill have to help mother cat to rescue her cute little cats trappedin bubbles.This is one of the most classic bubble shooting game based onrecuing cats from the trap.Once you start, you will not stop playing. Just try it, you willfind Endless Fun!Train your brain and solve all the challenging puzzles. Shootbubbles online or offline-anytime! Bubble Shooter is the BESTmatching game of all the puzzles.And above all bubble shooter cats is completely FREE to playclassic bubble shooting gameGame Features of Bubble Shooter cat:• 360 Levels of matching bubbles and perfect bubble pop• Help mother cat to rescue cute baby cats trapped in bubbles• Great control• Interchange bubbles to shoot and rescue cats easily• A complete game where match 3 meets classic bubble shootingexperience• Colorful animation effects• Completely FREE to play---HOW TO PLAY THE BUBBLE SHOOTER---★ Drag Your Finger can Move the Laser in the Direction!★ Tap on the Bubble Above to Determine the Target!★ Release your finger to Shoot!★ Match 3 or more Bubbles to make perfect bubble pop!--WHAT THIS GAME BRINGS TO YOU?---★ Fun, Relaxation and Happiness and bubble pop experience!★ Best game to Kill Boring Time!★ Develops Your Brain and Exercise Your Fingers!★ NO need of Internet and completely free to playHope you will enjoy playing our bubble shooter game and help mothercat to rescue other baby cats. Please share your valuable feedbackand suggestions over this amazing game.Your feedback and suggestions will help us to improve thisgame! Fruits Burst game free is an addictiveandtasty fruit match 3 puzzle game for all ages. Try this all newandtasty fruit treat for FREE.We welcome you to the splendorous and scrumptious journey ofFruitsburst game where you have to create fruit combos and enjoysolvingthe juicy fruit puzzle game.Solve all the wonderful puzzles and become the Fruit chefbycollecting 3 stars in all the levels.Fruits Burst game for FREE comes will different Fruit world.Thereare 4 different fruit world in this game with total 192 levelsinthe game.This sweetest matching 3 fruits game is great way for perfecttimepass.This classis Fruits burst game comes with new game play withnewprops.Let your brain and fingers do the work for you ,relax and becomethefruit chef by solving all the scrumptious puzzle.Addictive Features of Fruits Burst Game• Play through all the 4 wonderful Fruit world• 192 levels of juicy fruit match 3 game play• Earn 3 stars in all the levels• Match more than 3 fruits and create power boosters andfruitsbomb• Match 5 in a row for the rainbow Fruits• Use power boosters and fruits bomb to win the levelwithease.• Many delicious and sweet fruit designs• No Network- No issues play anytime and anywhere, no need ofwifior network• Completely FREE to playWhy Shall I Play Fruits Burst Game?????? ?• This game relieves stress so this will be your favouritestressbuster• A perfect brain exercise with tasty and juicy fruits• Improves the problem solving skills• If you need a small pause from work-Try this gameHow to Play:• Easy to play, Just swap or swipe to make perfect fruitmatch3.• Use props , power boosters and fruits bomb to finish thegameeasily.• Make 5 fruits combination in a row to create Rainbow fruits• Collect 3 Stars and become fruit chefWhat are you waiting for, download the Fruits burst game todayandsay no to your boring times. Make this your realstressbuster.We love to hear feedback and your valuable suggestion. Pleasefeelfree to share your valuable Reviews, feedbacks andsuggestionsabout the game. Nothing is perfect in this world, yourvaluablefeedback and suggestions will help us to improve thegame. 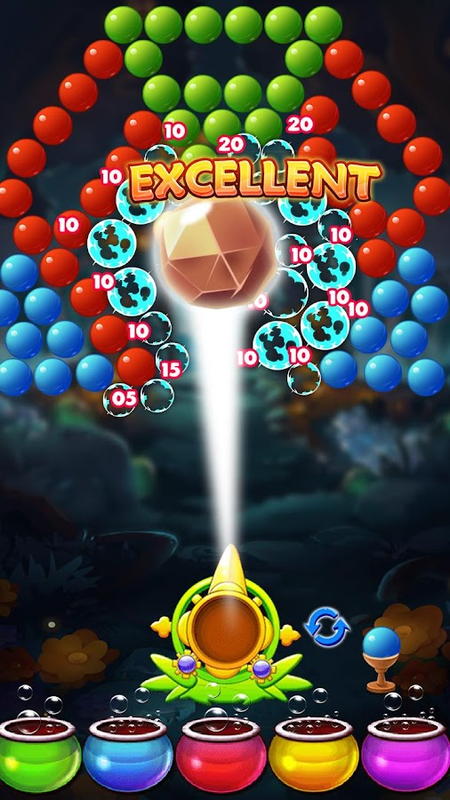 Shoot bubbles and match colors to pop your way up to victory inthis bubble shooting adventure, win magic keys to unlock moresecret colorful bubble world, it’s time to enjoy the endless bubbleshooting fun! 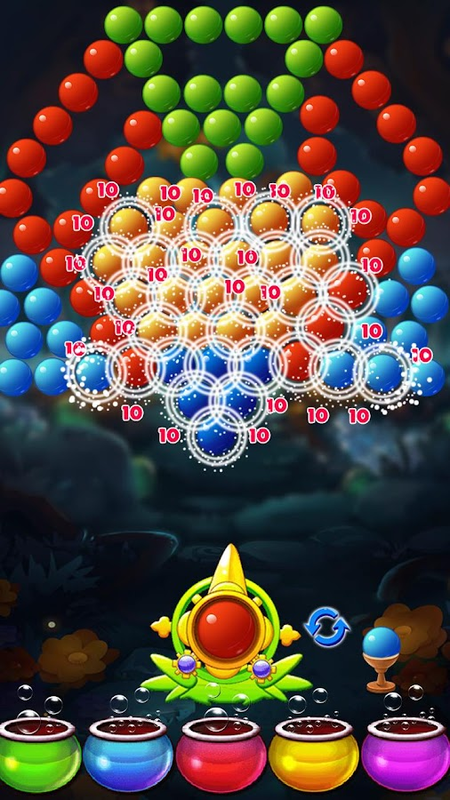 Features: - Colorful graphics and stunning animations- Finely-tuned spinning and shooting mechanics - Hundreds ofchallenging bubble shooting levels - Explore innovative specialbubbles in high level - Collect magic keys to unlock the secretbubble world - Special power-ups to help you pass the tricky levels- Revel in easy-to-play, hard-to-master gameplay - Fully compatiblewith Android Phone and Android Pad devices - Free download and morefree level to come in future In bubble whirl shooter, your goal ineach level is to get the key by shooting and clearing the bubblesaround it! As the game progresses, the game will gets moreengaging, you will have to rely on your instincts andproblem-solving skills to navigate down the path to win. Note thatyou have to clear all the bubbles to get 3 stars! Bubble whirlshooter is super easy to pick up and it will be hard for you to putit down. Download now to start your bubble shooting adventure,let’s have fun! Aim your bubble cannon and blast away! Shoot bubbles with yourtrusty bubble shooter, and pop your way to victory! Welcome to thefarm life! CoCo the mother hen knows her baby chicks are ahandful...they get into sticky situations on a daily basis! CoCo isone special chicken though: she owns a fancy magic bubble shootercannon. She requests your help in her bubble popping adventure, soshe can rescue her troublemaker baby chicks stuck in bubbles andtreetops! Get help from farm animals to aim, shoot, and pop all thebubbles in this FREE to play bubble ball shooter game! Blast awayin the bubble pop adventure with CoCo and her bubble shootercannon! BUBBLE COCO features the following: 🐥Bubble popping, bubbleshooting fever! 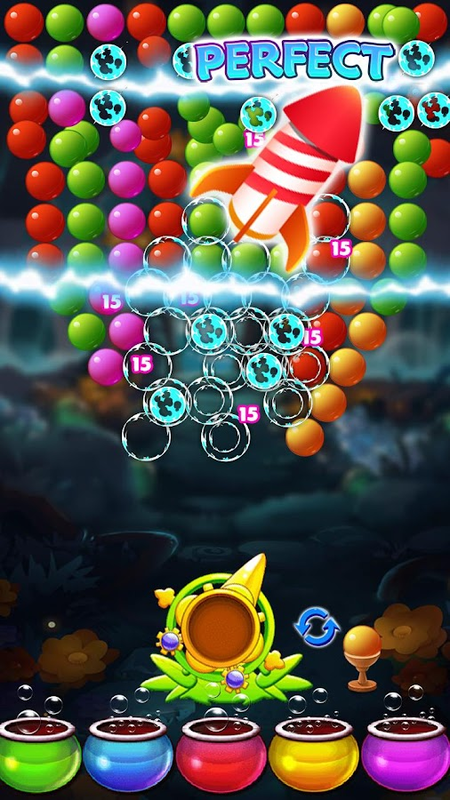 Bubble CoCo combines a classic bubble shooterarcade game with fun power up items and various game modes inhundreds of levels! More than 1200 levels are waiting to challengeyour bubble shooting skills! 🐥Boosters and modes to entertain all!Bubble CoCo is a bubble game with a captivating challenge!Addictive game modes, helpful booster buble, and constant NEW gamelevel updates so you can enjoy never ending bubble games! 🐥Easy,intuitive control! Bubble CoCo is as easy has 1, 2, 3! Aim, shoot,and pop the bubble! The power of the bubble shooter is right atyour fingertips! Not one stray lost bubble under CoCo's watch! Firethat red bubble ball to the top! 🐥New game EVENTS and rewards!Bubble CoCo will hold fun game events everyone can enjoy, such asthe Egg Festival! Participate in new events so you can earn rewardsfor your bubble pop adventure! 🐥Play with or without friends! Sendgifts, request help, and compete against friends to see who is thebest hand at the bubble shooter! Bubble CoCo is also playableWITHOUT an internet connection, so you can continue your blitzbubble games anytime, anywhere! 🐥Colorful and vibrant graphics!Looking for free bubble pop games with rich colors and cutecharacters? Beautiful bubble whirl graphics with bubblegum pink,rich red, blues and purple! Check out the eye popping, bubblepopping Bubble CoCo now! Blast bubbles through appropriate colormatch! These bubles are asking to be popped! Bubble CoCo is thecute bubble game you are looking for! 🐥No eggs left behind! HelpCoCo the chicken protect her eggs! The mother hen will be nothingshort of angry if she gets her eggs stolen! We don't want Mr. Foxgetting his hands on a precious egg, do we? Blast the bubbles inthis shooter match 3 game! 🐥The best bubble game for you! We aretalking about the best bubble game for kids and family! Not justthe best matching games for adults, but also matching games forkids! 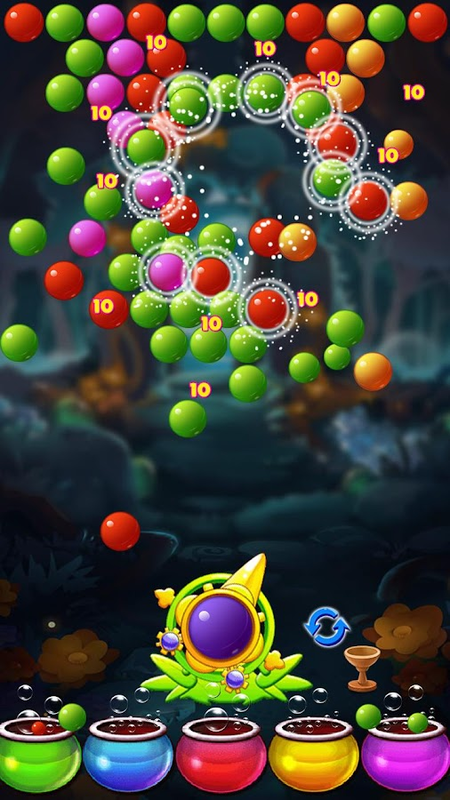 Blast away boredom with the best bubble shooter game! Lookingfor free bubble games? Go on your very own bubble pop adventurewith CoCo's baby birds and farm animal friends! 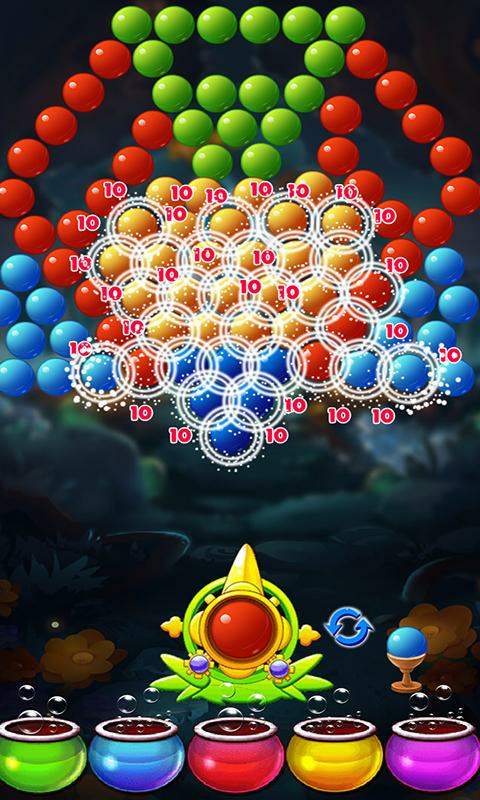 You won't need tosearch for any other free bubble games!----------------------------------------- Look out for BubbleCoCo's Bubble Shooter news and events on the official fan page:https://www.facebook.com/playbubblecoco Visit the Bubble CoCo HelpCenter: http://www.bit.ly/BC_help POP! Aim your bubble cannon and blast away! Shoot bubbles with yourbubble shooter and pop your way to victory! Your favorite freebubbleshooter puzzle game Buggle 2 is here! Uh, oh! Greedy QueenBee and her soldier bee army have arrived! The peaceful BubbleIsland of bubble bear games and friendly bubble bears are now indanger! They need YOUR help! Join bubble bear Andrew's quest forhoney! The gluttonous Queen Bee is hoarding all of the sweet honey,and it is up to Andrew the bear and his animal friends to preventthe tyranny of the Bee Army. Andrew and his friends only wish forpeace on their island. But they cannot just sit there, waiting forsomeone to stop the Queen bee and her buggy army. They are indesperate need of your support! Save them from the evil greedyQueen bee’s buggy army and bring peace and justice to Bubbleisland! Andrew the bubble bear has great bubble shooting skills. 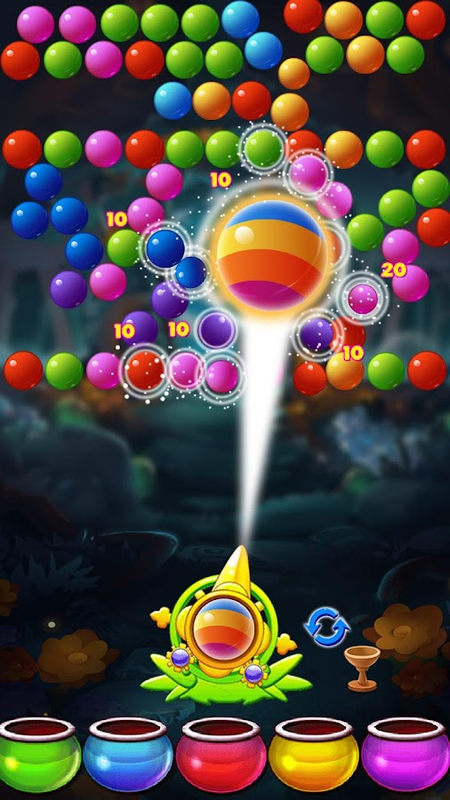 Hecan burst many bubbles and defeat the Queen bee’s buggy army byusing his secret weapon – the bubble shooter! But he can’t do italone. Your role is crucial! Use the color match bubble shooter tohelp Andrew in his resistance against the greedy Queen Bee and hersnoopy bee soldiers! Pop, whirl, and blast the bubbles with plentyof special items and shoot that red bubble! Look out for the helpof Andrew's bear friends, like the polar bear and panda bear!SPECIAL FEATURES of Buggle 2 ▣ Bubble popping, bubble shootingfever! Buggle 2 is no ordinary bubbleshooter game. Buggle 2combines the classic popular bubble shooter arcade puzzle game withfun, exciting power up items and various game modes! More than 1300levels await! 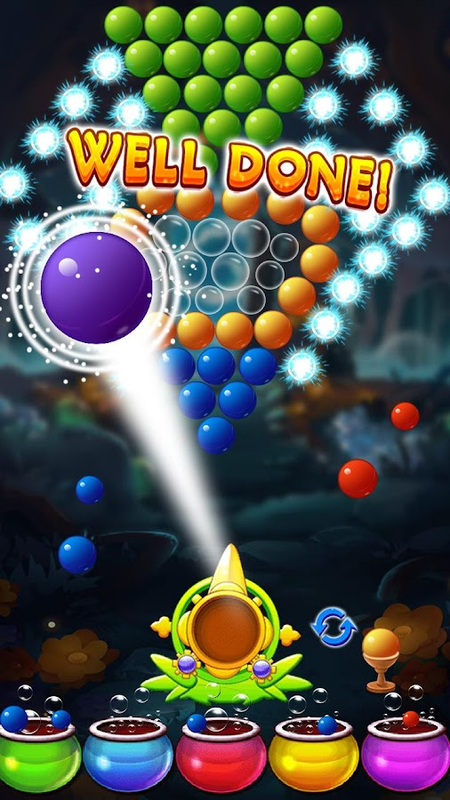 Play NOW and show us your bubble shooting skills.Shoot burst & blast the bubbles! BANG! POP! Join Andrew and hisfriends’ adventure for honey! ▣ Various game boosters and gamemodes to entertain all! 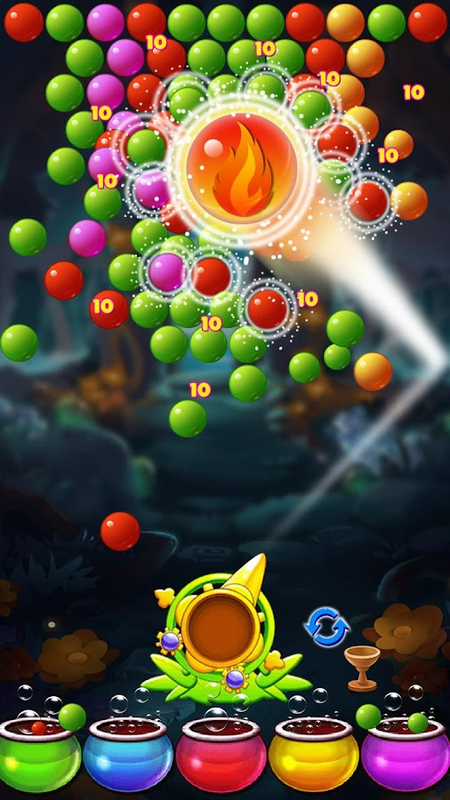 Buggle 2 is a bubble shooter game withcaptivating challenges! Are you an expert at Bubbleshooter games?Ever wish for a game that’s actually going to challenge you? Noneed to worry. You’ll never stop playing Buggle 2! We update ourlevels on a regular basis and new challenges will always arrive!Join Andrew on his quest to defeat the Queen bee and protect hispeaceful island from the evil Queen bee’s snoopy buggy army. ▣Easy, Intuitive controls! Follow the simple steps – Aim, shoot, andpop the bubble! Simple as that! Just use your finger to control theshooter. Aim the bubble to match the color. Shoot the bubble andBLAST! The bubbles just popped! The fate of Andrew and Bubbleisland of the bears lie right on your fingertips! Soon, the honeywill be yours! ▣ New game EVENTS and REWARDS Look out for eventsand rewards EXCLUSIVE for our Buggle 2 Facebook Page followers!Participate in these new events and you will gain awesome rewardsthat will help you through your adventure! More events! More honey!▣ Invite your friends to play Buggle 2 WITH you Buggle 2 is a gamefor everyone! Perfect to play with your friends and family! Sharegifts, request for help, and compete against them! See who’s thebest hand at the bubble shooter! ▣ Colorful and vibrant graphicswith cute characters! Looking for free bubble pop games with richcolors and cute characters? Beautiful bubble whirl graphics withrich red, blue and purple colors! Check out the eye popping, bubblepopping Buggle 2 now! Match the bubble colors and make them burst!Shoot that redbubble and save the cute little bubble bear Andrewand his friends! Help them in their challenging quest against theQueen bee and her soldiers. ▣ Enjoying Buggle 2? Visit our fan pagehttps://www.facebook.com/buggletwo/ and look out for EXCLUSIVEevents for our followers! Don’t forget to leave 5-star ★★★★★reviews and tell us what you like about Buggle 2! Features: * 4 worlds with different physics, 384 levels withincreasing difficulty * 16 collection kittens with 80 items for thecollection of which you gain experience * new location "Vacation"(at the end of stage) in which you can help to make the penguin skiresort * endless game mode with adjustable difficulty (nightmareincluded) * amusing ball physics for different materials *leaderboards * friendly user interface * mode for people withimpaired color vision (in settings top-right button) Gamedescription: There are two game modes — endless mode withadjustable difficulty ("Arcade" button) and campaign mode ("Levels"button). Game has four worlds with different physics anddecorations, which can be switched by the «Realms» button in themain menu. The gravity in the playing area is upward-directed, andthis is taken into account for geometrical calculations of wallrebounds and ball drops. In the game you can see the score, timeand number of coins on the left, the players ball queue on theright and the current ball on the bottom side. You can shoot theball by pressing on the game field. Special balls can be chosen bypressing on the current ball. Second pressing allows to change theball type. There is advertising in the free version of the game.Game instructions: Press the screen where you want to shoot theball. The new line appears in the glass after several balls shot(amount depending on the level). Combine three or more balls in oneline to destroy them. You get coins for each line of four and moreballs. You can exchange the coins for special balls to use indifficult situations (or just for fun). You can get combo bonus fordestroying of several groups of balls within 1.5 seconds. 3-combowill give you a special "mine" ball. If you combine it in line with3 or more balls, you will get an explosion and an extra coin. Youwill get up to 6 coins for 5-combo and higher. Press the ball inthe bottom of the screen to select a special ball. Press again tochange the ball type. Game supports all Android screen sizes(phones and tablets) . Play bubble shooter game which is based on an classic game. We havedesigned more than 400 level of puzzles in this game. you can enjoyfor a long time. in addition to the classic type of bubble shootergame. You can collect birds' feathers. There is a dress upsubsystem in the game, Use feathers to buy new clothes and dressthe girl up with modern clothes. The goal of the game is to savelittle birds by shoot bubbles up. make combinations of 3 or more tomake them burst.You can change base bubbles or make them into afireball, then bomb a region. Game Features: 1. 400+ fun levels 2.Earn clothes by puzzle levels 3. Dress up subsystem 4. lots ofboosters to enjoy 5. Free game and offline play Download bubbleshooter right now, You are going to love it! Battle the empire and win back the cosmos in this new excitingbubble shooter game, made especially for the puzzle gamesenthusiasts! Start the adventure today, fly to space and explorehundreds of fun levels filled with awesome challenges and brainteasers. Play the awesome Empire Bubble Shoot game and enjoy thebeautiful graphics and a classic game mode. It’s free to play andincredibly addictive!How to Play:- Drag your finger to move thelaser sight in the direction of the bubbles.- Lift your finger totake a shot.- Match at least 3 bubbles of the same color to pop thegroup and clear the board.- See which color you’ll get next so youcan plan your moves and work out a strategy.- Swap bubbles withoutlimit, just tap on your bubble to change its color.AwesomeFeatures:* Hundreds of levels to beat. * Great boosts and power-ups. * Fun puzzles and challenges. * Colorful bubbles and cool visualeffects. * Classic and popular game mode. * A great way to passtime.With hundreds of fun levels and interesting puzzles you’llnever get bored!Pop bubbles and beat all the challenges in thisincredibly fun bubble shooter game! Join the exciting adventure inspace and experience hours of pure entertainment. There’s no timelimit, so you can play at your own pace, relax and have a greattime. It’s a super fun and easy game for all ages to play andenjoy.Try it out today!All rights of Bubble Shooter™ are owned byIlyon Dynamics Ltd. Welcome to the Bubble Shooter - Flying Pop which is addictivebubble shooting game. Lots of colorful butterflies are hiding inthe bubble world and waiting for your exploration. Bubble Shooter -Flying Pop Features: - Challenge over 500 interesting levels - Aimand tap screen to shoot bubbles - Awesome animations and effect -Amazing combos and bonus time - Delicate bubbles and lovely fishes- Easy to play but hard to be master Practice your bubble shootingskill and challenge your friends! Now you can download this game inGoogle Play Store for Free!